Tina started playing volleyball in 1998 when she was just nine years old. From 1998 to 2004 she played for Orangevale Volleyball Club in the Sacramento area. In 2005, Tina began playing for Gold Cal Volleyball Club where she continued to play until 2007. While playing club volleyball, she led her 15’s, 16’s, and 18’s teams to the Junior Olympics as their starting setter and team captain. Tina was awarded MVP seven out of her nine club seasons and received Coaches Awards the other two seasons. While playing club volleyball Tina also played for Folsom High School as a three year varsity starter and was named MVP in 2003 and 2006 and Best Defensive Player in 2004. Also during her high school years, Tina was the setter for the Delta River All League Team and was on the honorable mention as a Defensive Specialist for two years. Tina’s volleyball mentoring began at a young age. When she was just 15 years old she began teaching volleyball clinics. When injuries prevented her from playing volleyball at the college level, she turned to coaching to fulfill her passion for the sport. Tina officially began her coaching career in 2008 with Sonoma West Volleyball Club, coaching in the 16’s division. In 2009 Tina was hired by Rancho Cotate High School as the Head Coach of their Freshman Volleyball Team. Later, she went on to coach the Junior Varsity Volleyball Team at Rancho Cotate, also as the Head Coach. 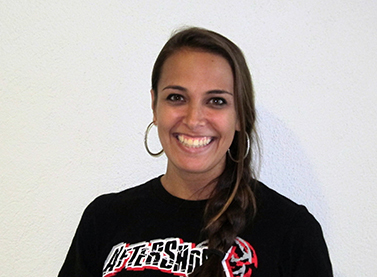 Also in 2009, Tina started coaching with Aftershock Volleyball as a Head Coach. In 2013, she was hired as the Varsity Volleyball Coach at Technology High School and is excited about building a program there. As a well-rounded coach Tina has had the opportunity to coach at a variety of levels including our 14’s, 16’s and 18’s divisions and is looking forward to what future seasons with Aftershock hold for her.